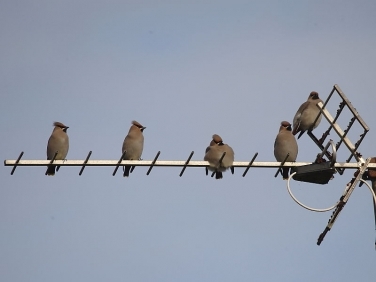 Thousands of Waxwing are now in the country and have reached the far south west of Cornwall. 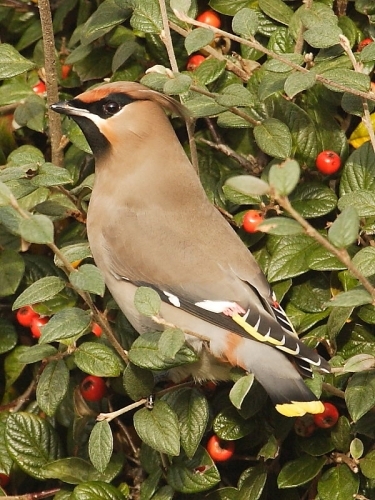 These were in Falmouth and part of a small flock of seven feeding on the berries of a small Cotoneaster bush in Marlborough Crescent. There are now small numbers dotted around Cornwall and, like the two Waxwings seen at Mylor churchyard a few weeks ago, they are providing Cornish birders with lots of photographic opportunities. They really are stunning birds and, thankfully, are far from timid, often being happy to feed within a few metres of a row of birders and their clicking cameras. 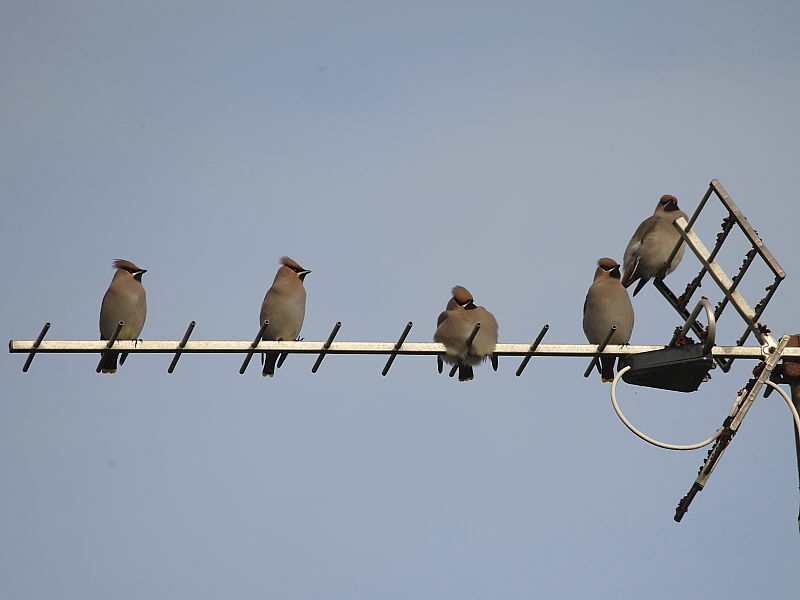 They are also very predictable and will sit up on roofs, TV aerials or trees close to the food source before dropping down to feed every few minutes. An easy life compared with the severe conditions that they have must have left behind in Scandinavia and Northern Europe.